This week I'm visiting Coonabarabran to check out Siding Spring Observatory as a possible site of the southern counterpart of our GOTO instrument on La Palma. Siting a second instrument in Australia willdramatically improve our ability to cover the large sky regions that LIGO produces in response to the detection of a binary neutron star or black hole merger. Later this year we plan to submit a funding proposal to support development of the telescope from 2019 onwards. Stay tuned! The milestones just keep coming this year for the burgeoning field of gravitational wave astronomy. 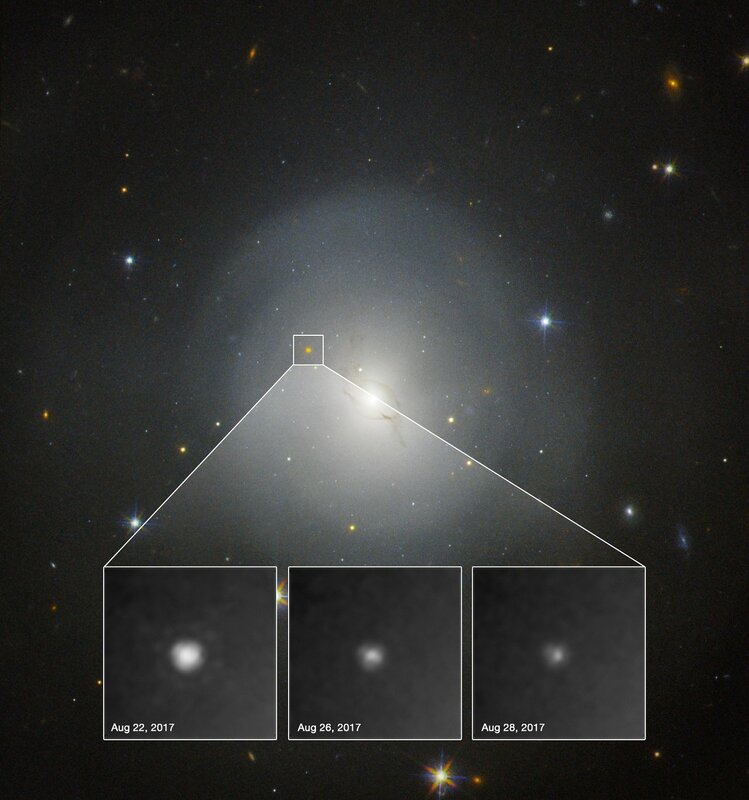 Closely following the first "triple coincidence" detection of a black hole merger (with the two LIGO instruments joined by the Italian Virgo instrument), comes the announcement yesterday of the first detection of a binary neutron-star merger, which was — spectacularly — accompanied by a gamma-ray transient detected by Fermi GBM. Things just got more exciting when an optical counterpart was detected for the gamma-ray and gravitational-wave source, with the Swope Telescope in Chile. The counterpart, named SSS17a, was subsequently followed by an estimated 70 different observational groups (including a range of Australian facilities coordinated via the OzGRav Centre of Excellence). A literal frenzy of activity followed, culminating in the LIGO press release in the early hours (Australian time) yesterday, and followed by our own press event at Old Parliament House yesterday morning. It is hard to quantify the impact of this event; the announcement was accompanied by an estimated 76 papers (with likely more to come). Sadly, our own GOTO telescope missed out on this event, but the optical brightness indicates that future events will be easily detectable, and validates our instrumental design. The prospects for additional detections when O3 begins (in late 2018) are excellent. The Australian Research Council announced this morning the outcomes of the Centres of Excellence scheme, and I'm delighted to report that our Centre for Gravitational Wave Discovery, aka OzGRav, was approved! The Centre, led by Swinburne's Prof. Matthew Bailes, will support research into detecting gravitational waves with interferometric detectors like Advanced LIGO as well as the Parkes Pulsar Timing Array. Nineteen Chief Investigators from six Australian universities will join with 15 partners from Australia and all over the world, in a program extending for the next 7 years. A great time to be a gravitational wave astronomer! Shakya Premachandra's paper on the orbital ephemeris of Cyg X-2, the next-best candidate LMXB (after Sco X-1) for continuous gravitational waves, has now been accepted by ApJ. Systems like Cyg X-2 and Sco X-1 may produce detectable gravitational radiation from "mountains" on the rapidly rotating neutron star, and precise knowledge of the system parameters (including the orbital period and neutron star spin frequency) may be critical for optimal GW searches with LIGO. However, many of the candidates are rather poorly known, so Shakya's analysis assembled the available data on the source to improve this situation. The accepted paper is available now at arXiv:1604.03233.